Minnetonka 0687K - Our iconic Classic Fringe Boot gets an update with a smooth champagne deerskin construction. 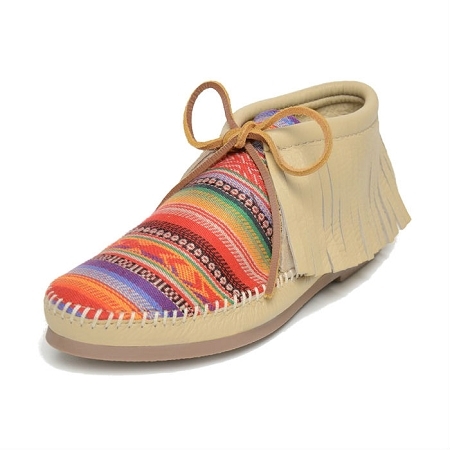 Colorful woven serape-inspired fabric gives this women's boot an artisanal edge. 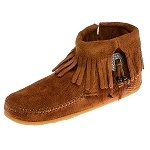 Minnetonka 0687k - Soft, supple champagne deerskin leather boot with a woven frisco fabric and fringe cuff at the ankle. 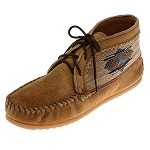 A rawhide tie completes this comtemporary look. 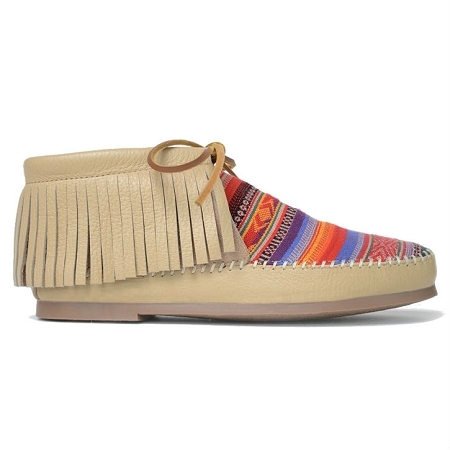 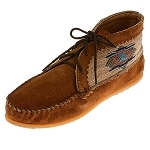 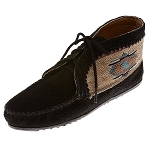 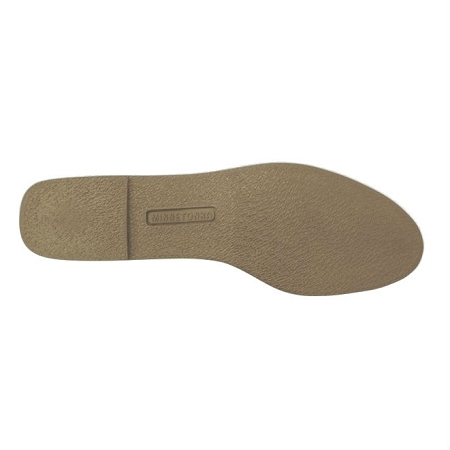 Cushioned insole and a thin rubber outsole for comfort and authentic moccasin style.